Sure, you can tell a lot of work went into making what is probably the best looking MMO on Android, but there is also no doubt that the developer wants to recoup that investment tenfold. Not only are there in-app purchases that range all the way up to $99.99 per item, but there are also 6 different sections in the store that all require some type currency. Rest assured the majority of these items will not take the currency you earn while playing. Heck, if it wasn't clear enough already, they even include booster packs in the store that will increase your earned XP, which essentially gives the players with the most money to burn an easy way to level up. 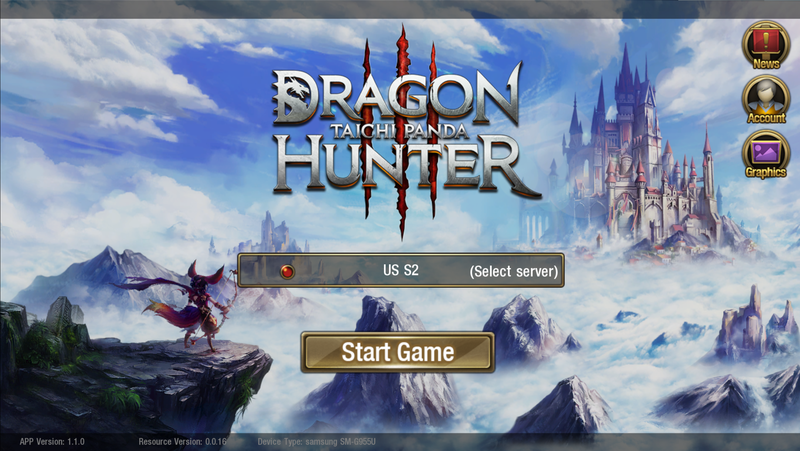 This obviously alleviates any doubt as to whether Taichi Panda 3: Dragon Hunter is a pay-to-win game. Now as I mentioned above the fold, questing can prove problematic if you choose to play manually. Quest markers are very difficult to find on the map, and when you do find them, they are very difficult to select thanks to their minuscule size. Maybe this would be less of an issue on a tablet, but when playing on a phone, it's pretty much a requirement to use the auto-questing button. I feel this takes away from the enjoyment you can have with the game, as the majority of your time will be spent watching the story unfold instead of actively taking a part in it. When you are questing, you can expect the usual cut and paste quests found in the majority of MMOs. Kill these many creatures, collect these many items, go and talk to this NPC. There is nothing new or exciting on this front, so expect a long drawn out grind while completing the most mundane of quests. One thing that is nice is that since you don't need to ever worry about controls, you can easily jump into the game's many menus to adjust your character's equipment or upgrade a few items, which is really what the gameplay boils down to. Constant micromanagement in numerous menus while the action unfolds behind whatever current screen you are delving into. As for the story, yeah, there isn't much new here either. You pick your faction before jumping into the game, but other than a change in starting class and area there is little difference in the type of quests you will be completing. I suppose there is some sort of overarching storyline where you have to stop the evil forces that are plotting for control of the world. But when are you not saving the world in an MMO? Anyway, if the default setup has you auto-playing through the entire game, I highly doubt anyone is going to stop and read about each quest in order to learn why you are doing the things NPCs are asking you to do. Honestly, the entirety of Taichi Panda 3: Dragon Hunter just feels like a poor reproduction of a better game. Sure it looks the part, but there is no denying that just about every aspect of the title is centered around trying to separate you from your cash. Basically, it's a perpetual money machine disguised as a game, and I feel a little worse for wear for even attempting to enjoy it. Some of you may find the hands-off approach of this beta release something to applaud, but for me, I need more interaction to enjoy my time with a game. While auto questing is the current easy answer to the problematic controls on mobile, it most definitely isn't a great solution for those of us who want to play their games actively.